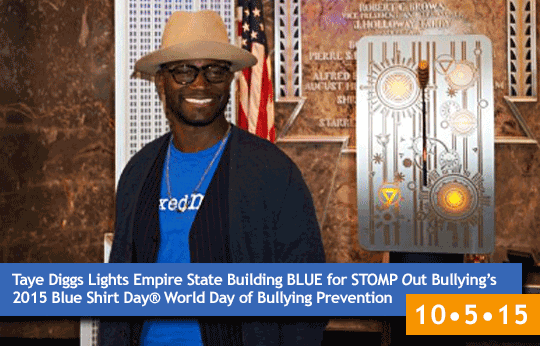 Get this cool Tee and support Anti-bullying campaigns. A percentage of our profits go to Stomp Out Bullying, a prevention organization for kids and teens. Hey everyone! Thank you so much for visiting my campaign page. This campaign is to help Stomp Out Bullying. When i was younger i was bullied. It was scary, I was young and didn't know what to do. School didn't do anything other than warn the bully. But, that made things worse. It eventually did stop when my parents threatened the bully's parents with the police. But I still hear of kids bullying other kids and it has to stop. It is so devastating to peoples lives. I went on to have a successful martial arts career but so many people don't know how to channel their fear. I believe that I turned a negative experience into a positive experience because I have the best strong role model in my mum but some kids don't have that. I really want to give back and show support for kids and teens who are going through these awful experiences and hopefully educated kids and teens on how to treat each other with love.